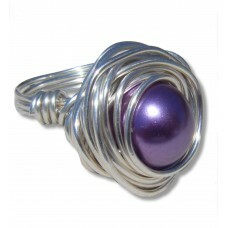 10mm Pearlescent Purple Bead trapped inside a swirl of silver plated wire. 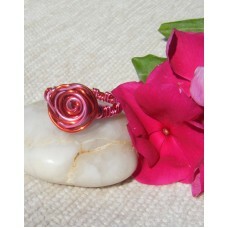 This ring sits love..
Red and Pink coated copper wire woven into a beautiful rose ring. 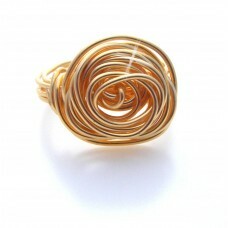 Sits nicely on the finger. &..